Detect and correct issues with your Progress OpenEdge environments before they affect your critical business processes. Whether you need to monitor one database on one server or hundreds of databases, AppServers, WebSpeed, Tomcat and other resources spread around the world, the ProTop dashboard gives you real-time visibility into the state of your business critical application components. We’ve combined our 30 years of experience with data from widely scattered sources to give you actionable information and alerts in one coordinated and insightful view. Easily access the ProTop web dashboard using your favorite device. At work, at home or on the road, the status of your Progress environment is never more than a click away. ProTop automatically gathers the information you need to respond to a business critical interruption. Resolve issues quickly rather than wasting time digging for data. The ztime session blocked alert not only shows which processes are blocked, it shows you why (waiting for a RECord), which record(table name and RECID) and which process is blocking you (database user ID, login name and PID). Help streamline day-to-day database management tasks so your staff can focus on their primary activities. ProTop will alert your team when attention is needed. 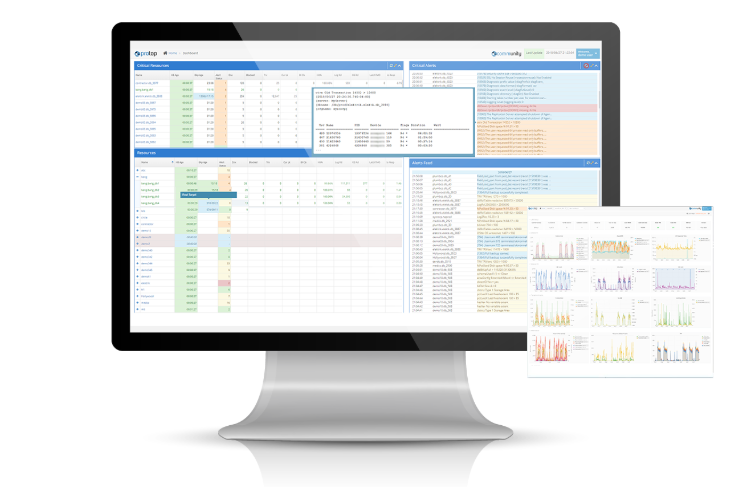 Empower your people with a world class monitoring solution that is focused on prevention and minimizing downtime that can affect your business. Don’t like ProTop? Just stop using it. No strings (or cables) attached.